Nanay's Trip Engineering for Kids PH My Journey and Joys Nanay's Trip Project Preschool Homeschool science for preschoolers STEM Education Experience a BLAST at Engineering for Kids! Experience a BLAST at Engineering for Kids! I had a gut feeling we shouldn't miss this opportunity to attend a free trial class at Engineering for Kids PH (@efkph). In our short homeschooling journey, I observed that besides counting and some color mixing, we haven't integrated science and math in our activities. I was interested to see how this program makes Science, Technology, Engineering and Math (STEM) education fun and interesting for preschoolers. Rio and I watched some DIY rocket ship videos on You Tube a few days before our scheduled class. We had several encounters with rocket ships on some books that we have read and Hi5 episodes we have watched. I thought letting him watch how a rocket ship is actually done may spark interest and possibly lead him to enjoy his upcoming aerospace engineering class. I was totally wrong! A spark of interest on rocket ship was an understatement! My little boy literally had a BLAST at their Junior Aerospace Engineering class! He was very attentive as Teacher Daniel introduced the different parts of a rocket ship. 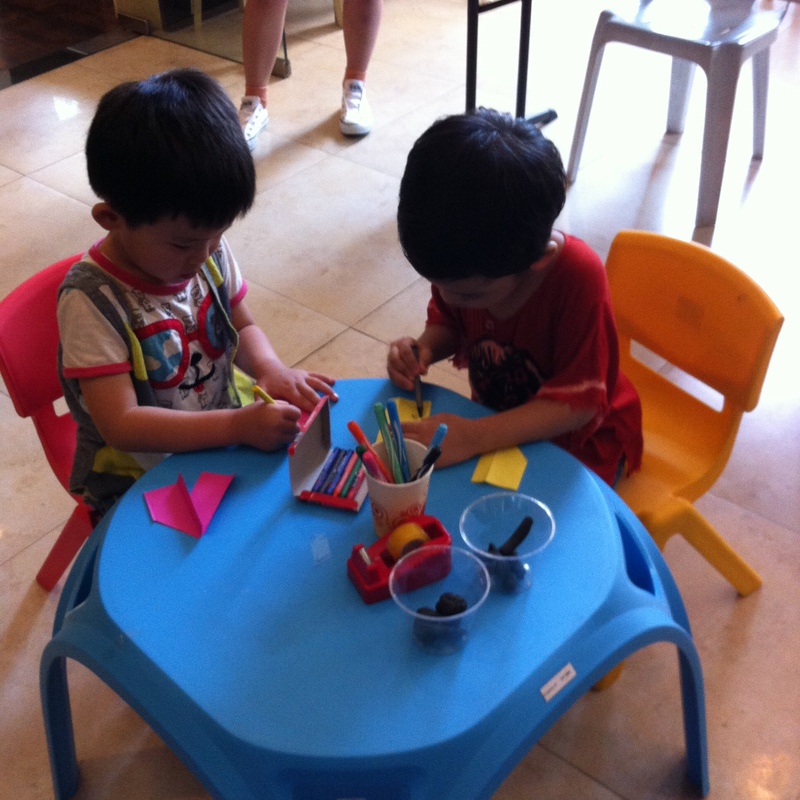 When it was time for them to make their own rocket ship, Rio immediately sat down on the table to work on his project. I was even surprised that the little boy who hated our writing exercises at home, wrote his name RIO on his rocket ship all by himself! Here's a short video to show how my dearest son enjoyed making his rocket ship fly! Experience a BLAST at Engineering for Kids now! 1. Basic Science concepts for our preschoolers. Experience problem solving for preschoolers at work. How can I make my rocket ship fly? I must jump on the bottle to make it fly. How can I make my rocket fly higher? I must jump higher! At this point, I don't really want to feed technical explanations on what makes a rocket ship fly to my little boy's mind. I am just happy that he can connect how he jumps to how high his rocket soars. Discovering relationships through practical activities like this will definitely guide and encourage him to explore more about science in the future. 2. Learning is FUN. Learning through PRACTICE and PLAY. Science can be an intimidating topic for our kids. We should do our best to make this subject fun and interesting to our kids. Integrating science lessons with play is still the best way to tap their curious minds and eventually encourage them to make experiments on their own. 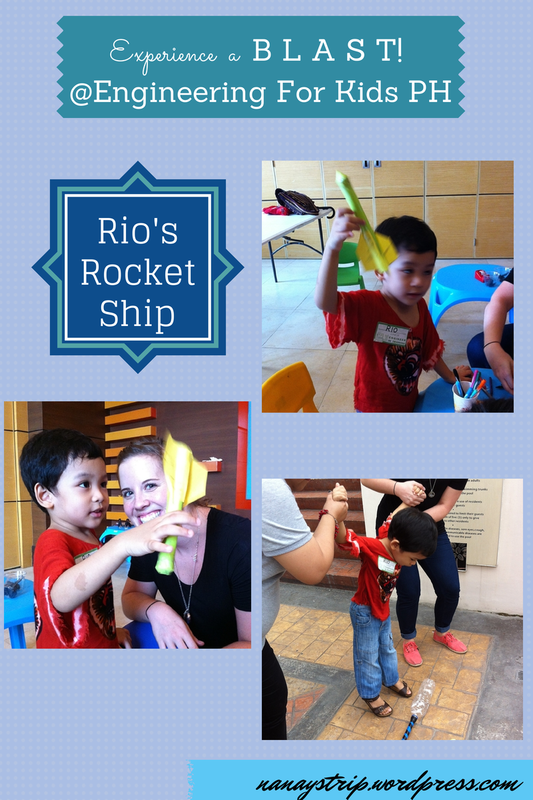 It took Rio several attempts to make his rocket ship fly higher. The teachers patiently taught him how to jump higher until he was able to exert the right amount of force to make his rocket ship soar. I appreciate how Rio did the trial and error exercises and discovered the wonder of experimenting in the process. 3. Age-appropriate activities for our kids. There is an exciting and powerful link between STEM ( Science, Technology, Engineering and Math ) and early childhood. Research confirms that the brain is particularly receptive to learning math and logic between the ages of 1 and 4, and that early math skills are the most powerful predictors of later learning. Research confirms that early math skills are a better predictor of later academic success than early reading is. The study found that in a comparison of math, literacy, and social-emotional skills at kindergarten entry, "early math concepts, such as knowledge of numbers and ordinality, were the most powerful predictors of later learning." Homeschooling families can make these fun learning sessions at @efkph as their weekly playdates. Families can even extend the science activities at their favorite parks or other open spaces. I was blessed to meet Mommy Que, a fellow homeschooling mom, during our trial class. We are now looking forward to making our own rocket ship launchers and letting our little boys play together in the park. Experiment and discovery are definitely more fun when done in the company of friends who share the same enthusiasm and passion for learning. Let's see our kids build "real" towers, rocket ships and other crafts. Works that they can actually hold, play with rather than just clicking all the buttons on their tablets and gadgets. Being techie has been equated to a child's mastery of using high-tech gadgets and playing with smartphone apps. Our children's early exposure to basic STEM concepts in a fun learning atmosphere will train them to apply what they have learned in solving more complex problems in the future. Engineering for Kids offer three levels of curriculum based on age range. Visit their website www.engineeringforkids.net. Contact them at 0917-5518705, info@smilegroup.org.in. Watch this short video to know more about Engineering for Kids and its Aerospace Engineering program. After our junior aerospace engineering trial class, I am all over the internet looking for cool, fun and easy to do science activities for our preschooler. If you are using the curriculum of lettersoftheweek.com, here are some simple science conceptsand activities from inspirationlaboratories.com that you can integrate in your lesson plan. Have fun, Nanays! 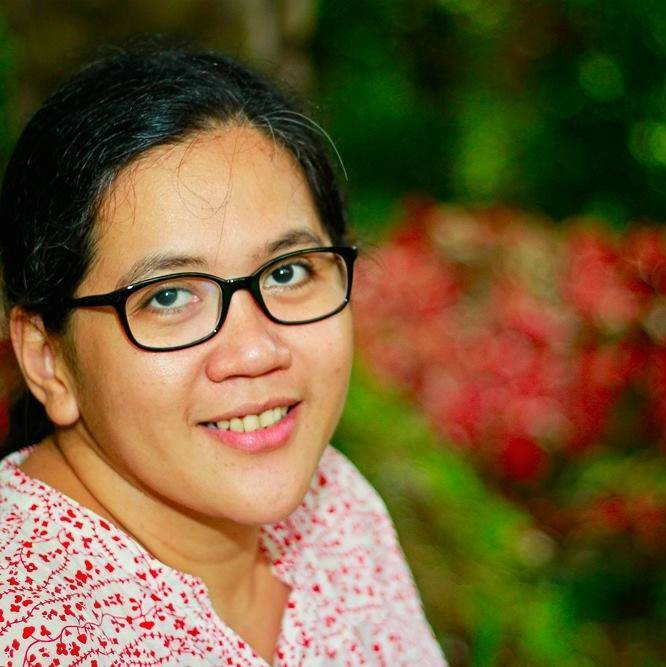 Nanays, how do you integrate science and math to your home activities and lessons? 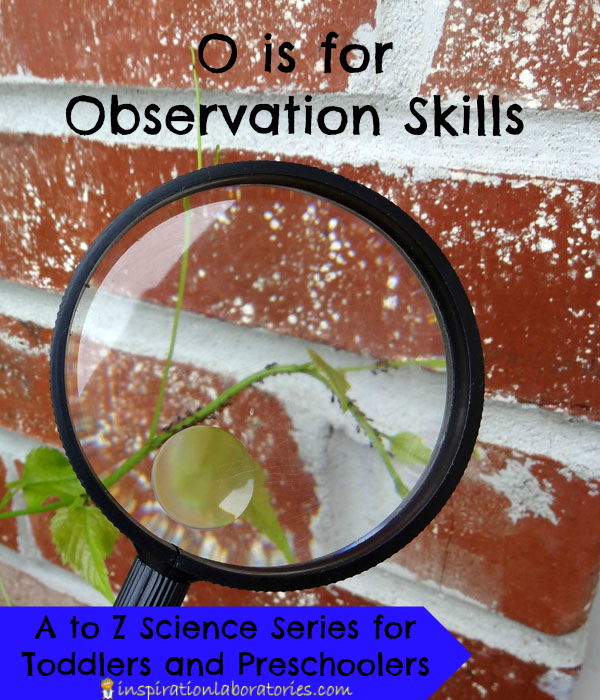 Feel free to share your most favorite science experiment and math lesson with your preschooler.